The Workers’ Compensation laws provide benefits for workers injured on the job or suffering an occupational disease. In Pennsylvania, Workers’ Compensation benefits include weekly compensation to the disabled worker, reasonable and necessary medical expenses, including doctor visits, therapy, diagnostic tests, hospital and surgical costs, pharmaceuticals, and death and burial benefits to a deceased worker’s dependent. While a worker cannot pursue a claim directly against his employer for pain and suffering, in many instances, after thorough investigation our attorneys can identify non-employer parties that may be responsible for the harm or injury. 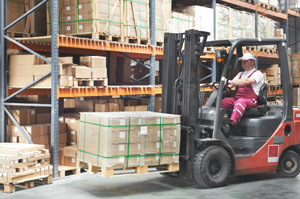 These parties can be held accountable for all injuries and damages suffered by the worker. In numerous cases, after being retained to represent a party in a workers’ compensation claim, we have determined that a viable claim exists against someone other than the worker’s employer, for premises liability, negligent work practices, or defective products. Our attorneys handle all aspects of injury claims, and we are prepared to investigate and prosecute all aspects of a claim arising from a work injury. In addition to weekly benefits and payment of medical expenses, in many instances our attorneys can negotiate a settlement of your workers’ compensation claim. Such settlement can include past and future wage benefits and payments of a lump sum for future medical bills. If you or a loved one has been injured on the job and are not receiving the benefits to which you are entitled, please contact us immediately. Even if you are receiving benefits, you can schedule an appointment with one of our attorneys to review your benefits to ensure that your employer is paying you everything to which you are entitled. Over the past fifteen years, our attorneys have negotiated numerous lump-sum settlements, many in excess of $100,000.00. For examples of our success in representing individuals injured on the job or suffering an occupational disease click here.